Team Owner of Gaunt Brothers Racing, Inc.
Marty Gaunt grew up around racing and forged a 25-year career in the automotive and racing industries. As a youth he spent his weekends racing at local short tracks in Canada. In 1985, Marty took his first professional position with Canadian Tire, for whom he worked 10 years. In 1996, Marty’s passion for racing lured him to Charlotte, N.C., where he began his official tenure in NASCAR as General Manager of Kranefuss-Hass Racing. Michael Kranefuss, who had served as the head of Ford Motor Company’s Special Vehicle Operations, handpicked Marty for the position when he launched his career as a NASCAR team owner. Marty was responsible for leading the NASCAR Cup Series operation and eventually the transition to a multi-car team in 1998 when it became Penske-Kranefuss Racing. Marty held similar NASCAR management and consulting positions over the years with Red Bull Racing, Richard Petty Motorsports, Bill Davis Racing and Robby Gordon Racing. In 2005, Marty made the jump to NASCAR team ownership fielding race-winning entries in the NASCAR Camping World Truck Series with Red Horse Racing. It was in 2005, when the Truck Series partnered with Toyota that Marty began his relationship with the manufacturer. In 2008, Marty was positioned to stay in an ownership role – but moved from the team side to the manufacturing arena when he acquired Triad Racing. 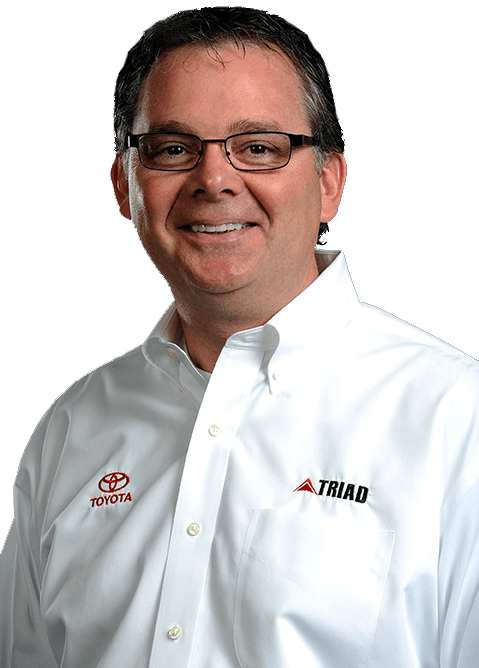 Over the past 10 years, Triad Racing strengthened its partnership with TRD and Toyota serving as the exclusive Toyota Parts Distributor for NASCAR. Under Marty’s watch, Triad leased engines across all three of NASCAR’s national touring divisions, the Lucas Oil Off Road Racing Series, the USAC Silver Crown Series, various Dirt Modified series and other off-road racing platforms. Teams utilizing Triad horsepower enjoyed a record of success: 10 manufacturer championships, five driver championships, 112 race wins and 91 poles. In 2011, Marty formed Gaunt Brothers Racing, fielding teams in the NASCAR K&N Pro Series and NASCAR Pinty’s Series for drivers Alex Bowman, Jason Bowles and John Gaunt. GBR recorded a victory in the Toyota All-Star Showdown and a track-record qualifying time on the Toronto street course.